For many years 858 Locksmith has been providing San Diego, CA and surrounding areas with the best complete locksmith services with competitive pricing. Our technician staff has over 5+ years experience to ensure our customers get the highest quality in locksmith services. 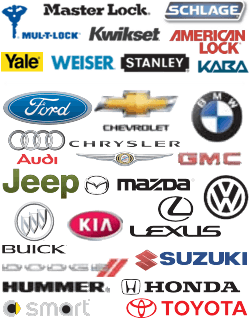 Our company has up front pricing, and fast and friendly experienced technicians. We here at 858 Locksmith aim to provide our customers with professional, honest, and dependable San Diego locksmith services. We are always striving to make sure that every customers in need of locksmith services is well taken care of, and is satisfied with the services they receive. Our locksmith technicians here at 858 Locksmith have one goal in mind, and that is to provide our customers with fast residential and commercial locksmith services. Our mobile locksmiths‘ 30 min response time will ensure that our customers receive fast locksmith services wherever they are! Rain or snow, day or night, any day of the week our expert technicians will respond within 30 minutes to your location to ensure our customers are in the right hands whether it is an emergency or not. We will never hesitate to answer any questions anyone might have, and respond right away to our customers needs. 858 Locksmith’s number one goal is to provide our customers with the fastest 24/7 locksmith services. Our experienced technicians have over 5+ years experience to ensure our customers receive the most professional, honest, and dependable local locksmith services. We are a licensed locksmith and make sure every one of our locksmith technicians are experienced so that our customers receive top rated locksmith services for their specific situation. Our experienced technicians will respond within 30 minutes any time to ensure our customers are well taken care of, and have a great experience with our friendly staff. 858 Locksmith always works to provide top rated local locksmith services to residents in San Diego, CA and surrounding areas. We are local, honest, dependable, and professional to ensure that we provide the highest quality complete locksmith services to our customers. We also thoroughly make sure that our technicians are qualified to provide our company’s top quality locksmith services. 858 Locksmith provides many services for our customers to make sure that they are well taken care of in any situation. We provide automotive, emergency, residential and commercial locksmith services all within 30 minutes, and with competitive pricing to ensure our customers receive the best deals along with locksmith services. We also provide services for lockouts, and emergency situations for all of our customers within just 30 minutes of calling our experienced and dedicated technicians. Our automotive locksmith services are available 24/7; and our expert technicians will aid you in case of car lockouts, and any situation in which you need our assistance. Our top goals are to provide the highest quality and fastest residential and commercial services. Our technicians will also never hesitate to aid customers calling for help in lockouts, and any kind of emergency that calls for our assistance! Also, we are always happy to answers any questions anyone might have anytime of the day. 858 Locksmith provides complete locksmith services to residents in San Diego, CA and surrounding areas. Our technicians have over 5+ years experience to make certain that our customers are provided with the highest quality locksmith services. Not only are we licensed, bonded and insured, but our experienced locksmith technicians are highly trained with the latest locksmith technology, and are fast and friendly! 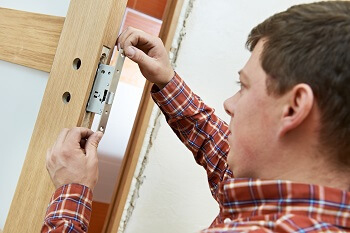 We provide our customers with not only dependable locksmith services, but up front pricing. We also provide competitive pricing so our customers can know that they are receiving the best prices for locksmith services. Our mobile technicians will respond to anyone’s location within just 30 minutes of calling, and provide fast 24/7 locksmith services despite any weather conditions or time of day. We are professional, honest, dependable, and our customers are in the best hands in any situation. Nothing is impossible for us, and there is never time that we will not come to our customers’ aid in any situation. 858 Locksmith Service – About Us https://858locksmith.com/about-us/ 3.8/5 based upon 8 reviews.